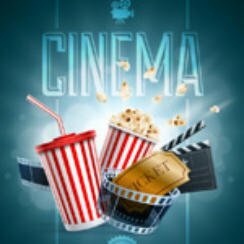 Time for a look at this weeks new cinema releases, 13th November 2015 for the UK, US, Australia and New Zealand, including all their movie trailers. It’s Christmas right? Maybe a bit early but Love the Coopers releases this week in the US. Barbara Broccoli Not Looking For New Bond? Not surprisingly the new Bond film SPECTRE hits the top spot in the US whilst staying number 1 in the UK for a second week running. SPECTRE is released in Australia and New Zealand this week and is expected to top their charts. SPECTRE Break World Record – But What For? It’s Christmas at the Cooper where four generations come together for their annual Christmas Eve celebration. This is the story of Miss Mary Shepherd (Maggie Smith) a woman who lived in a van parked in Alan Bennett’s (Alex Jennings) driveway for 15 years.